I asked our Minnie Moms to share Walt Disney World experiences that they look forward to sharing with their children. As always, they responded with some terrific ideas! Corby: I've always wanted to stay at Disney's Grand Floridian Resort with my kids. Well, truth be told, maybe it's been more of a dream for ME, but regardless, it's been on my wish list for a long time. I finally got a quick trip booked (only way I could afford it) before sailing out on a cruise soon. I'm really looking forward to it. I wanted to do My Disney Girl's Perfectly Princess Tea Party (well, not me for my 3 year old daughter) but since we are so restricted on time, and this trip is already over budget, we decided to do the afternoon tea at Grand Floridian's Grand View Tea Room instead. I'm sure it will be a treat with the whole family but the Princess Tea is still on my list! I know my daughter would absolutely love it and seeing the look on her face would be worth it all! Another thing I have on my wish list that my son and I talk about quite often is doing an Adventures by Disney tour to Europe. My husband has no desire to travel abroad but it's been a dream of mine since college. My hope is when my son is a little bit older, we'll make it a mother-son trip. I will make it happen one day! 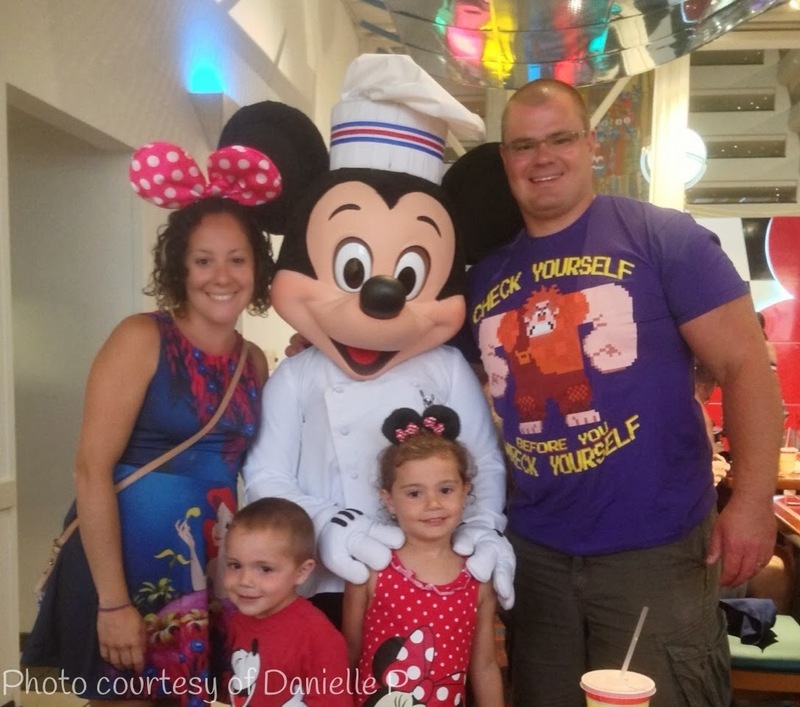 Danielle: The topic for this month is what I would like for my kids to do/see in Walt Disney World. Both of my children are young so, of course, there is plenty that they have yet to experience. We are actually headed to the World next week, and both kids have both hit a height milestone! New rides like Tower of Terror, Space Mountain, and Soarin' are in store, and I can't wait! It will be so nice for the four of us to board one of Disney's finest thrill rides together! However, what I most want my kids to see during future visits to the World is the magic that surrounds them. Our Disney trips now are wonderful. My kids light up when they greet their "friends" (characters), dance along to the parades, and get excited dining at a restaurant where they believe Mickey is their chef! I hope their amazement lasts forever, and that our family vacations will always be as magical. But, kids grow up. I'm sure we will be bound to endure a sort of "too cool" stage where hanging out on a buddy's couch seems more appealing to them than does a trip to Disney with their parents. My hope is, though, that somewhere in between all that growing, my kids will still be willing to take time out of their budding social lives to remember the magic, whether it be a little bit of awe upon seeing Cinderella Castle for the first time that vacation, having our matured family photo taken with our old friends at Character Spot, or just waving their napkins with us at Chef Mickey's. That's what I want for my family in the future: for my kids to continue to want to share and make memories with us in Walt Disney World...At least every once in awhile. Janine: One thing I still really want to do with Tink is see Wishes. Tink is an early riser and even though she's been to WDW twice now, we've never made it out late enough in Magic Kingdom to see the show. I know she would love it as she does enjoy fireworks and Wishes is my favourite night time experience at Disney by far. As we don't have any plans to return now until she is a little older, it'll be top of my To-Do list, and we might even make it extra special by booking something like the Wishes Dessert Party. Natalie: If you have older children, you may be looking for something special to dowith that child. Recently, I found out that Disney does something quite special for children ages 4-12 called the WDW Pirate Adventure Cruises for Kids! Children who are signed up head to the appropriate resort to board a Pirate Ship. Kids are given bandanas and temporary tattoos to help them become a pirate for the day! While on the boat, the children are required to wear a life vest. Once onboard, the children take a pirate oath and take sail for their adventure. 1. Disney's Pirate Adventure - Sailing in the Bay Lake and Seven Seas Lagoon. On this adventure, children read "The Legend of Gasparilla"-a real Florida pirate. 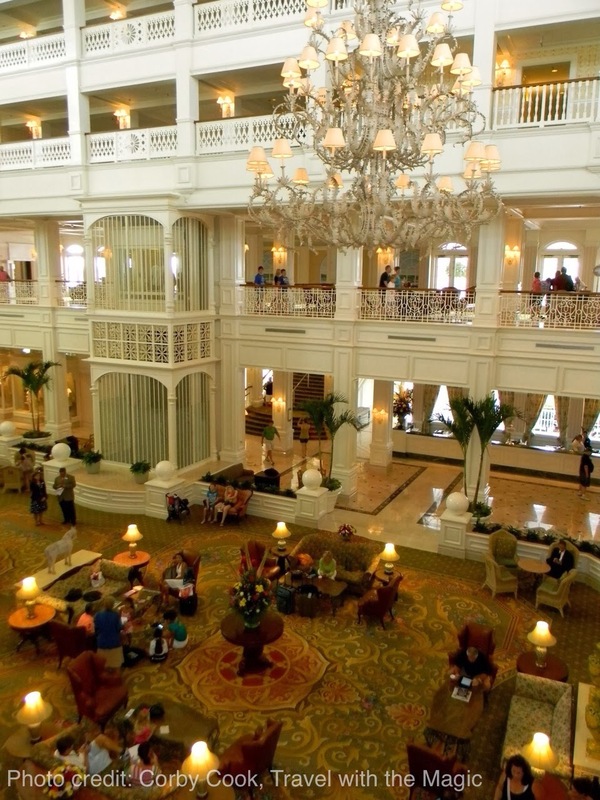 This adventure departs from the Marina at Disney's Grand Floridian Resort & Spa. 2. Islands of the Caribbean Pirate Cruise - Sailing the Ports of the Caribbean waters. Children will hear stories of Old Port Royale and its pirate-laden past. Sail away on this adventure from Barefoot Bay Marina at Disney's Caribbean Beach Resort. 3. Albatross Treasure Cruise - Sailing across Cresent Lake and EPCOT's World Showcase Lagoon, children hear "The Legend of the Albatross" and search for pirate booty. Adventures sail from Bayside Marina at Disney's Yacht Club Resort and Disney's Beach Club Resort. 4. Bayou Pirate Adventure - Sailing down the Sassagoula River, the young pirates listen to legends of Captain Jean Lafitte-one of the most infamous pirates ever to sail in the waters of New Orleans. Adventures depart from the Fishin' Hole on Ol' Man Island at Disney's Port Orleans Resort-Riverside. The times for the adventures are daily from 9:30 - 11:30. The children must be dropped off and picked up on time by their care provider. Once the children are on their adventure, they will hunt for treasures! They are asked to wear comfortable shoes so they can help in the search of the treasure. Once the treasure has been found, the treasure is split up among those on the adventure. Then the children will be given a snack of goldfish and apple juice. I just booked my son to take one of these adventures! The cost is $39.41 and must be guaranteed with a credit card. You can cancel the reservation one day ahead of time, if needed. If you want to book your own adventure too, call 407 WDW PLAY! 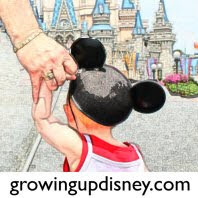 Amy: There are many Disney experiences I am looking forward to sharing with my children as they grow up. One that I've been waiting for since the ultrasound techs said "It's a girl!" is afternoon tea at the Grand Floridian. This is one of my favorite things to do at Walt Disney World. I love to escape the midday heat and crowds of the Magic Kingdom by popping over to the Grand with its cool, calm lobby. My mom and I have decided the girls can each have her first tea with Granny at the age of 5. Tink will reach this magic age in April so I'll be able to make reservations the Garden View Tea Room on our next vacation. By the way, the tea room doesn't have an age requirement but we set this age for us. It would be a shame to have to hurry through tea because your toddler got antsy. And as regular guests, it's nice to spread out the activities and special events so that we always have something to look forward to. Many thanks to Corby, Danielle, Janine and Natalie for sharing their stories! Please check out our Minnie Moms page for past articles and more information about this terrific team.